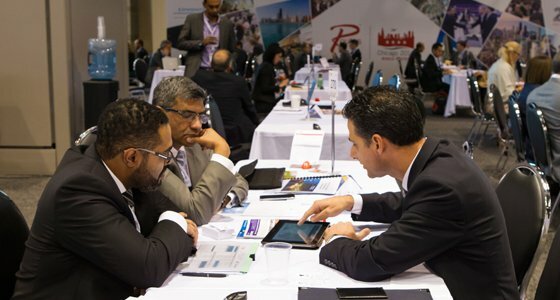 Face-to-Face meetings form the core of all Routes events, presenting airlines, airports and tourism authorities an unrivalled platform to meet and discuss route development opportunities at one unifying event. This page is designed to help you get the most from your event and assist you in arranging your prescheduled meetings. Requesting your meetings pre-event is a simple process and will help you reach your top targets before arriving onsite. Ensure you're prepared for when scheduling opens and read our simple guide on how to request your meetings. 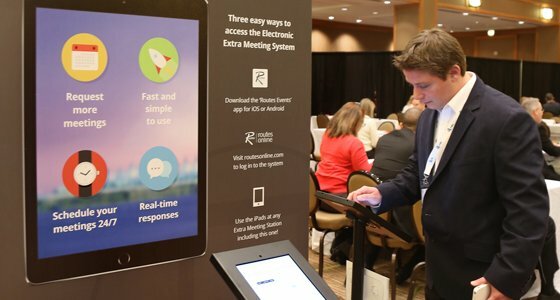 Our On-site Meeting System (OMS) is a completely digital solution and will be accessible via Routesonline, and dedicated terminals around the event. Follow our simple guide to utilising this user-friendly and essential tool, ensuring you’re prepared to start requesting your extra meetings as soon as you arrive. Identify your top targets and view those organisations that have already registered to attend your event. Use the links on this page to view the attendee lists to begin planning your meeting requests, alongside discovering organisations such as airlines, airports, tourism authorities and industry suppliers who you can expect to see at the event.